Career Opportunities – Horgan General Contractors, Inc.
Horgan General Contractors, Inc. is growing. We’re looking for additional people who want to grow with us as we build our staff of project managers, assistant project managers, superintendents, estimators, and field crews. We also offer career opportunities in marketing, safety, accounting, purchasing, information technology and human resources. Applications are always being accepted for employment openings. If you’re interested in a work environment that offers stability? Send us your resume here. We enjoy a relaxed atmosphere of casual clothes, a comfortable offices and camaraderie at our headquarters, located in just West of town in the commerce park area of Jupiter, FL. Simply put, we all like working together. 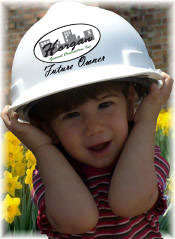 At Horgan General Contractors, Inc., everyone we hire takes on responsibility right from the start. We recognize your potential at the outset and let you grow. You won’t be shipped around on an endless circuit of projects; we understand the importance of stability when you’re building a career.